Everyone today looks for excellent mobile app design to fulfil varied personal or business related works. The developers intend to create ambitious and more effective apps, however, one of the concerns involved in designing of mobile app is security. Anyone can explore the app for lack of security . To address the security issue, the developers have to include authentication strategies to repel intruders. 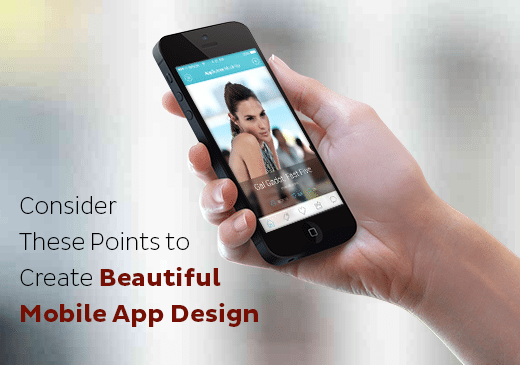 Easy access to huge amount of data is another consideration in creating mobile app design. This aspect is even more important as the data access is restricted due to low bandwidth and inefficient network connectivity. Hence, the mobile apps must address this issue with some empowered means to ensure access to enormous amount of data. Another issue that designers have to consider for mobile apps is the battery life and hence, they must opt for the user interface that has a high functionality and flexibility for optimal user experience. Clearly, providing the basics of mobile app design is not sufficient anymore due to increasing demands by the users and it creates challenges for the designers.